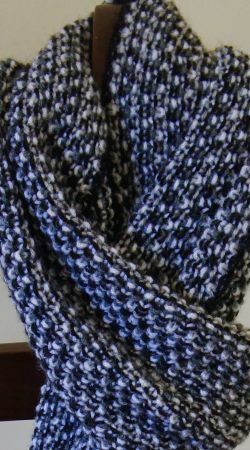 Hand knitted triangular shawl in a soft angora acrylic blend. Sublime garter stitch texture adds grace and gentle drape to the shawl, highlighting the classic charm of excellent hand-knitting. 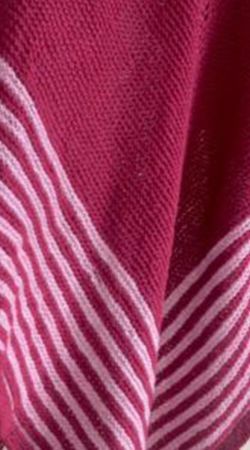 Get a new look by just changing the method of draping the shawl. 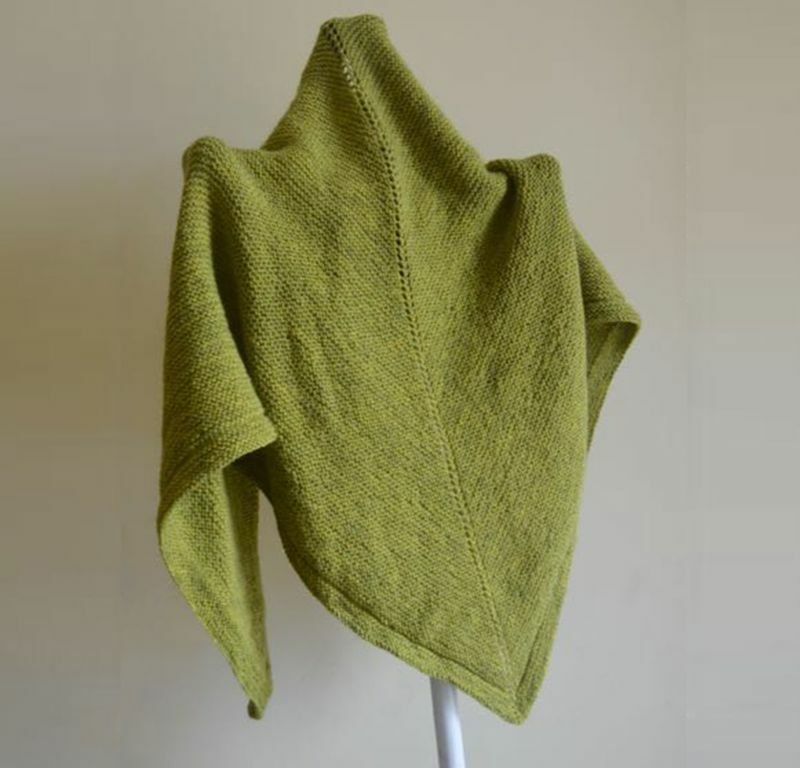 Easy to maintain, stylish and unusual, this soft green shawl will evoke the feeling of spring on grey winter days. Wrap a piece of spring green softness around your shoulders in this artful blend of angora and acrylic fibres, dyed in the hues of sprouting foliage of mountain bushes and trees . 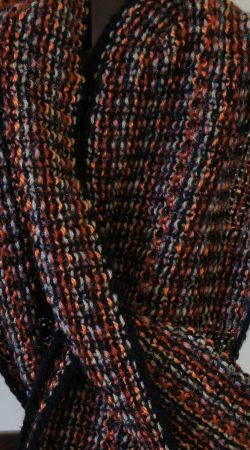 Knitted in simple garter stitch to get the softest texture and drape possible, this shawl will brighten up grey winter days. 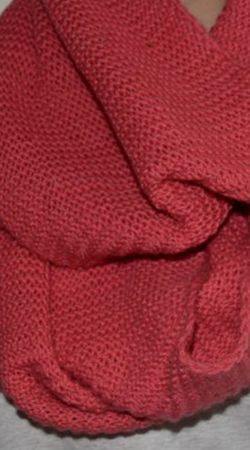 Drape it over your shoulders, twist and knot it around your neck, cover your head, hang it artfully over an arm…this shawl can be worn in a zillion ways, for cosy comfort or for attractive appeal. Knitted in a super soft angora acrylic blend, this classic piece of knitting is a must-have for winter. Hand washing recommended.Can be washed in delicate cycle of washing Machines. Use detergent for wool and luke-warm water. Dry flat in shade, after gently pulling cover to original size.